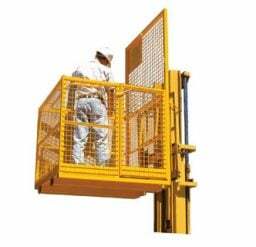 Our work platforms are designed strictly in accordance with Australian Standards to ensure your safety. For any job, big or small, we have work platforms to suit most industries including building and construction, maintenance, warehousing, retail. 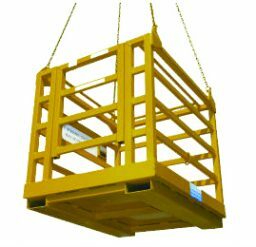 We have crane work platform cages, platforms and collapsible forkliftable work platforms. Krosstech have been providing market-leading solutions with exceptional customer service since 1968, and our know-how is the result of five decades of experience and a modern vision of our clients’ requirements. 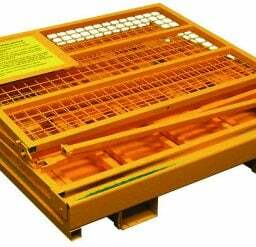 Our goal is to provide solutions for all your storage and material handling problems in a flexible, innovative and cost effective manner. At Krosstech, we are here to help you determine the right solutions for your industry’s requirements. We provide heavy duty work platforms, which are an essential part of any workshop or servicing environment. 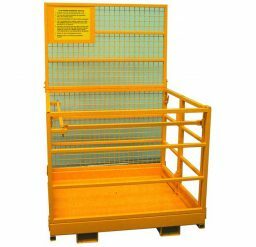 Our work platforms come in a range of heights and sizes to cater for most requirements.